TEDxUniversityofStAndrews provides a unique platform for individuals to share ideas worth spreading within St Andrews. To do this, the team of students host two main events every year: TEDxStA launch party and the TEDxUniversityofStAndrews conference in the Byre Theatre. The details for these events can be found below. Now, in its sixth year, TEDxUniversityofStAndrews is excited to announce that year's conference is happening on 22nd April 2018 at the Byre Theatre. This year, the TEDxStA committee of 17 students, are aiming for bigger and better, as they bring together ten speakers from across the globe, in the hopes they will inspire new and original ideas to create a better future for our community. With the chosen theme of Think Again, this year’s speakers will come for a variety of disciplines and backgrounds, to encourage each of us to approach life from a new angle, see things from a different perspective and question how we view the world today. The conference will be running throughout the day from 10AM - 3PM, with each speaker giving their own 18 minute talk on their chosen topic. More information about speakers can be found below or on our Facebook page. Adnan Sarwar is a former British soldier who served in the Iraq War, and now works as the Community Editor for The Economist newspaper and as a television presenter for the BBC. Clarissa is a young woman on the road to paving her career in a way that allows her passions to define her path. 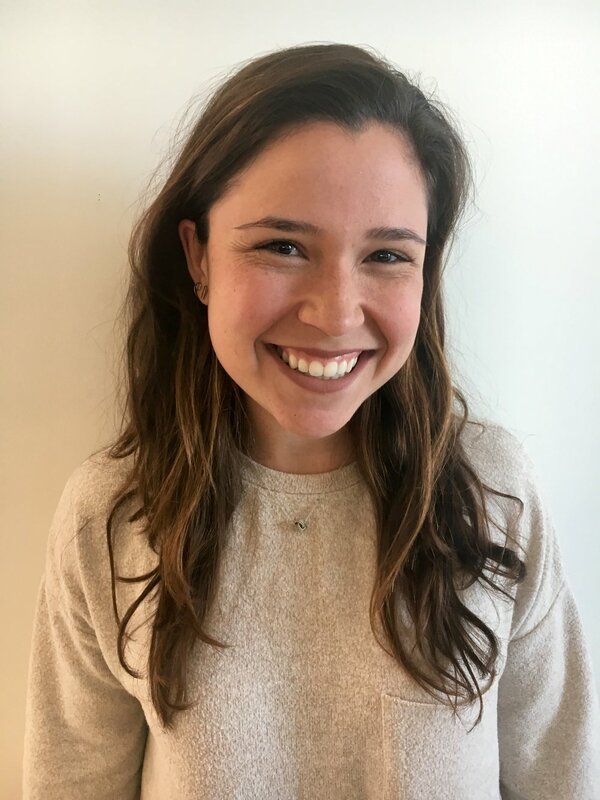 Currently, she holds a role as an Account Executive for the AI Cybersecurity company Darktrace, and has helped develop the company’s approach, methodology and expectations for their Brazil market. Fiona is a fourth year student at the University of St Andrews and is one of the winners of this year’s student speaker competition. Beyond this, Fiona is passionate about sports, captaining the Scotland Under 20s Rugby team in 2016, as well as playing for the university. Dr James Rae is a climate scientist in the School of Earth and Environmental Sciences at the University of St Andrews, who is particularly interested in the drivers of the ice ages, the climates of the dinosaurs, and reconstructing CO2 over geological time. Title: Fact or Fake: The End of Reality? Jane is a senior correspondent for the BBC’s Panorama, who specialises in foreign affairs, diplomacy and international investigations. Acting as a reporter and writer on more than 150 documentaries and investigative films, she is now a three times winner of the Royal Television Society award, BAFTA winner, and Winner of The Amnesty International award. Jeff is a wildlife film director and documentary photographer based in Bristol. Raised in Kenya, he has spent the last 17 years travelling to the most remote corners of the globe to capture untold stories from the wild for the BBC, Discovery Channel, Netflix and Disney. Jennifer is the Global Director of UN Relations for Microsoft Philanthropies. Her personal mission and career is focused upon creating a social impact, whilst she is additionally driven by gender diversity, and girls and women inclusion opportunities. Dr Martin Anderson is an ophthalmologist and honorary research fellow in the School of Medicine Global Health Team at the University of St Andrews. His talk will describe the huge challenge of global blindness and deafness and introduce a new tool called the Arclight. Milda is an experienced leadership development consultant, focusing on personal and organisational change. This includes coaching individuals to create their own development journey. Whilst, in her spare time she sings with the Scottish Chamber Choir and regularly participates in early music singing projects in the UK and Europe. Rachel is the other winner’s of this year’s TEDxStA student speaker competition. She holds a BA in English from Cedarville University and is now a second year Master of Fine Arts students at the University of St. Andrews. Our 2018 conference will be taking place on Sunday 22nd April at the Byre Theatre in St Andrews. Click here to be redirected to the Byre's website, where you can purchase tickets. 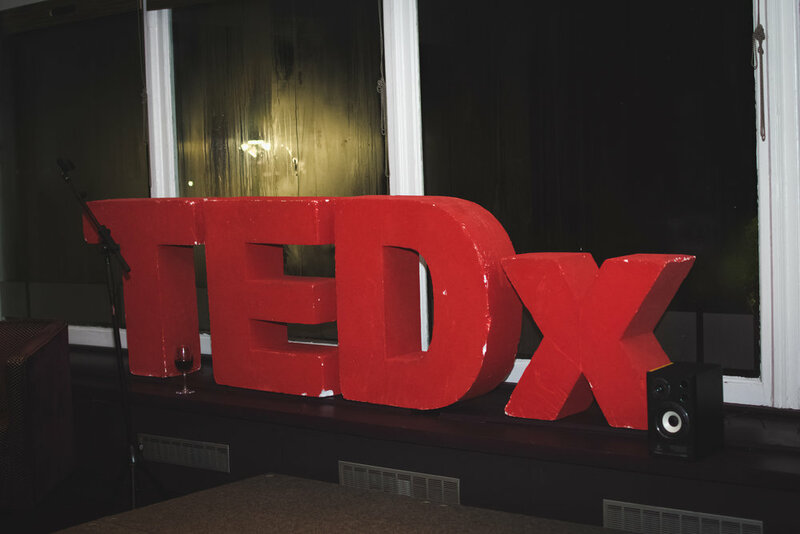 In February of this year, TEDxStA hosted their 2018 launch party at the R-Bar in St. Andrews. Here, they also invited their six student speaker finalists to give a 1-2 minute introduction of their intended TEDx talk, so that the audience could vote for their two favourites who were selected to speak in the April conference. The event was extremely successful, with an audience of 120 students, staff and other members of the St Andrews community. TEDxUniversityofStAndrews 2017 Conference happened on 23rd April 2017 at the Byre Theatre. It proved to be an amazing event, centred around the theme of New Beginnings and the talks from all ten of the 2017 speakers can be found on the TEDx Talks Youtube Page.